On one of his many sailing trips on his sailboat Juanita during the 1980’s, founder Chris Crowell ventured up the Moho River in the deep south of Belize and found a beautiful farm along the riverbank that was recently abandoned and for sale. Looming high above the spectacular location was a breathtaking huge Cotton Tree. The deal was sealed. After ten years of annual visits and attempts to keep the jungle at bay, in 1999 Chris teamed up with his partner Jeff Pzena to bring his dream into reality. Chris’ dream was to somehow introduce others to what he considers to be the soul of the country, to create an atmosphere where individuals could appreciate other cultures while learning something about their own spirit. The dream of impacting lives… of exploring new terrain… of creating stories for a lifetime. 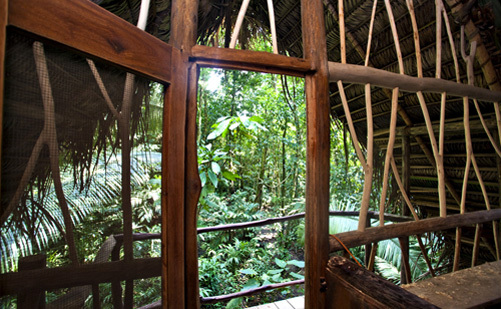 Today the lodge offers visitors the opportunity to immerse themselves into the local culture and learn about a totally different way of life, to explore deep into the jungle and experience the totally “last frontier feeling”. This is one of the many things so special about Belize: to explore barely discovered ancient Mayan cities or to venture out onto the barely ventured gems of the southern Belizean Caribbean waters, experiencing totally new, deeper meanings to ‘surf and turf’ itineraries. 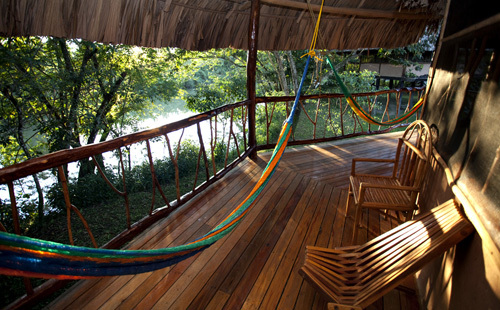 Nestled between unspoiled rainforest and the banks of the Moho River in the undiscovered Toledo district, Cotton Tree Lodge provides a truly unique jungle experience. 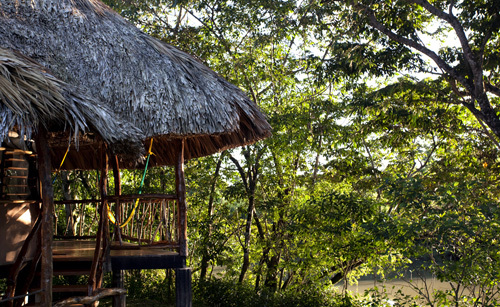 Guests principally stay on an all inclusive basis and this includes a wealth of daily excursions, including locally guided tours to Mayan villages, ancient ruins, waterfalls, and caves. 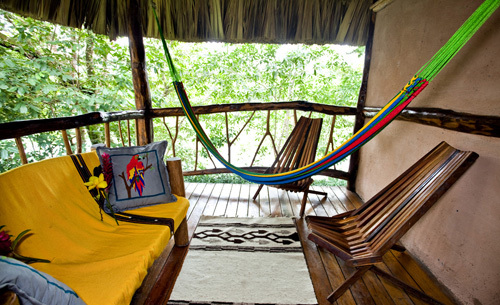 Activities available on the grounds include birding, horseback riding, kayaking, swimming, medicinal plant walks, or simply relaxing in a hammock. Being just fifteen miles from the Caribbean ocean means you are also close enough to enjoy snorkeling, diving, fishing, or sailing on a day trip. For foodies, chocoholics, or anyone with a sweet tooth get in touch with us at AB about the ‘Cacao Crazy‘ chocolate week itinerary, where eight days and seven nights are spent exploring organic cacao farms, learning about Fair Trade in Belize and making your very own chocolate bars from scratch. 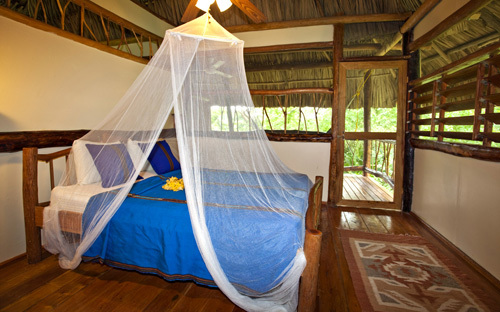 Whilst there is a focus on sustainability, Cotton Tree offers all the amenities to keep guests comfortable. 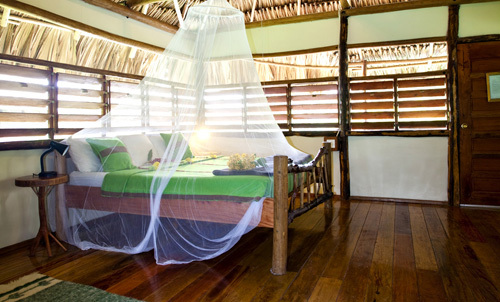 The eleven private cabanas are fully screened with thatched roofs, private bathrooms, ceiling fans, balconies, and hammocks. The Main Lodge houses the reception, gift shop, wireless internet access, and a fully-stocked bar. 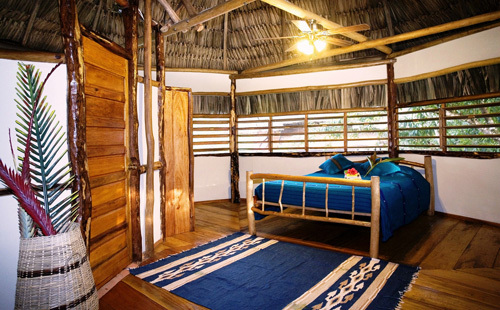 The restaurant serves Belizean and American favorites prepared with the freshest ingredients from local farmers and the on site organic garden.